Plant in the spring as soon as the soil can be worked. Use healthy plants with well-developed root systems. Space the plants six to eight feet apart. Before planting the vine, remove all canes except the most vigorous one. Trim off any broken or excessively long roots. Plant grapes in the spring. Space vines 6 to 10 feet apart (16 feet for muscadines). For each vine, dig a planting hole 12 inches deep and 12 inches wide. Fill with 4 inches of topsoil. Trim off broken roots and set the vine into the hole slightly deeper than it grew in the nursery. Cover the roots with 6 inches of soil and tamp down. Fill with the remaining soil, but don't tamp this down. Prune the top back to two or three buds at planting time. Prune annually when the vines are dormant according to the training system you select. Do not fertilize unless the soil is very poor or the plants show poor foliage color or signs of nutrient deficiencies. Cultivate shallowly around the base of plants to control weeds. Drape netting over vines to prevent birds from destroying your harvest. Grapes will only ripen on the vine. As they ripen, the sugar content rises to about 20 percent. 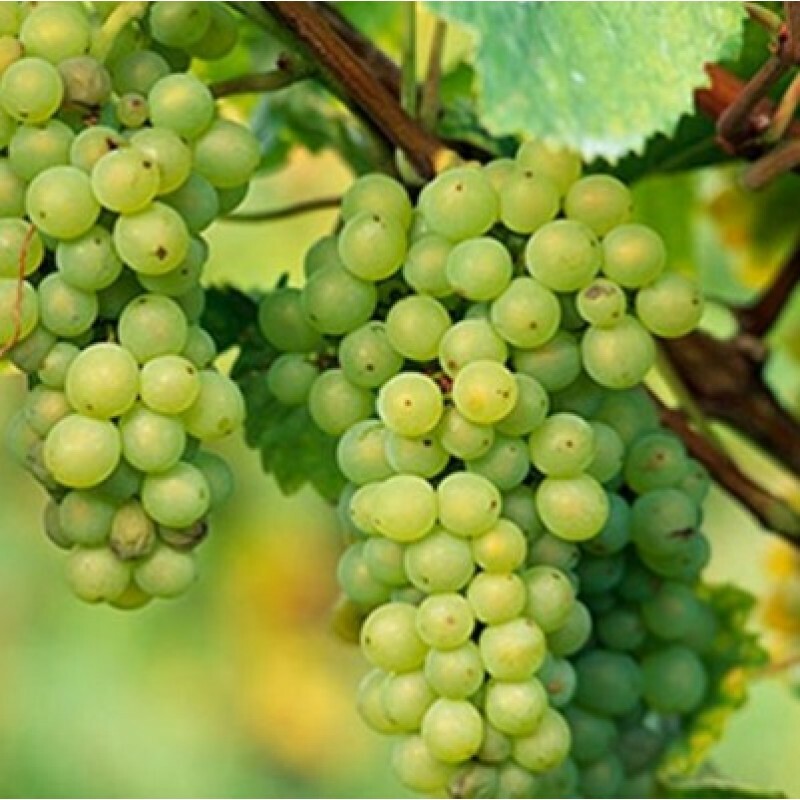 Harvest table grapes when the flavor is right; harvest wine grapes when they reach the appropriate sugar content.